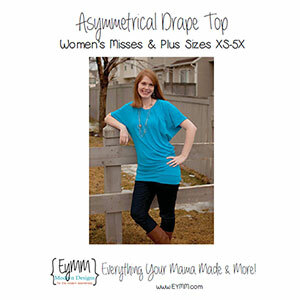 The Asymmetrical Drape Top is modern and trendy but still practical and comfortable for everyday wear. 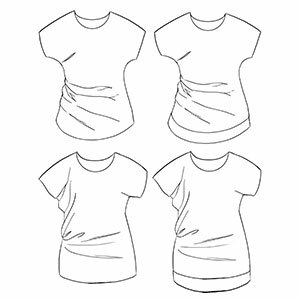 Both side seam/sleeve options offer plenty of fabric drape for the mid section, which does a great job of hiding a post-baby tummy. It has 2 different side seam options. One gives a more asymmetrical sleeve shape with the drape. The other offers closer to a traditional dolman sleeve and fitted torso while still taking advantage of the asymmetrical hem, sleeves and fabric drape on one side. Dress it up or down with different pants or accessories and wear it across all 4 seasons. 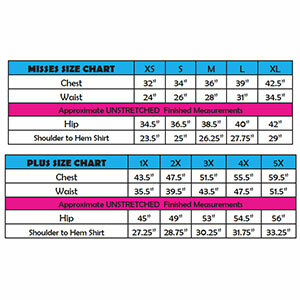 This pattern offers sizes XS through 5X. It is a quick sew with amazing results. This is a confident beginner pattern.